Section 167 Cr.P.C. : Procedure when investigation cannot be completed in 24 hours. The Judicial Magistrate can in the first instance authorise the detention of the accused in such custody i.e. either police or judicial from time to time but the total period of detention cannot exceed fifteen days in the whole. Within this period of fifteen days there can be more than one order changing the nature of such custody either from police to judicial or vice versa. If the arrested accused is produced before the Executive Magistrate he is empowered to authorise the detention in such custody either police or judicial only for a week, in the same manner namely by one or more orders but after one week he should transmit him to the nearest Judicial Magistrate along with the records. When the arrested accused is so transmitted the Judicial Magistrate, for the remaining period, that is to say excluding one week or the number of days of detention ordered by the Executive Magistrate may authorise further detention within that period of first fifteen days to such custody either police or judicial. After the expiry of the first period of fifteen days the further remand during the period of investigation can only be in judicial custody. There cannot be any detention in the police custody after the expiry of first fifteen days even in a case where some more offences either serious or otherwise committed by him in the same transaction come to light at a later stage. But this bar does not apply if the same arrested accused is involved in a different case arising out of a different transaction. 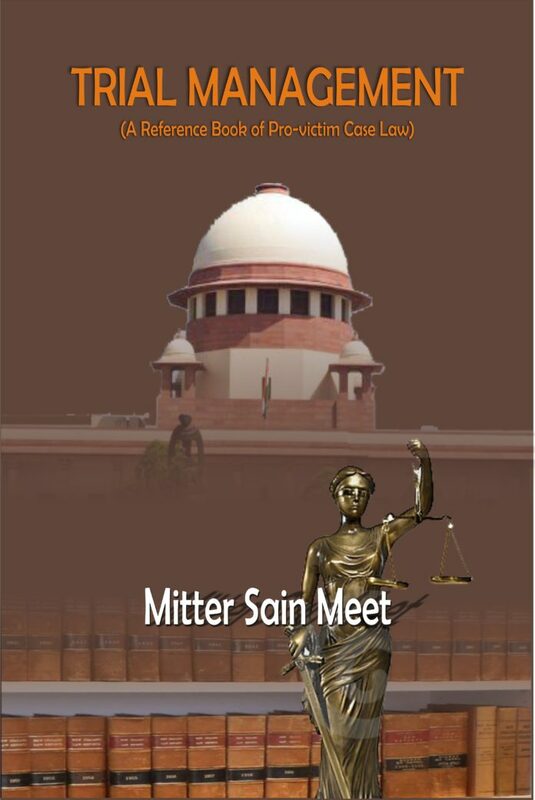 Even if he is in judicial custody in connection with the investigation of the earlier case he can formally be arrested regarding his involvement in the different case and associate him with the investigation of that other case and the Magistrate can act as provided under Section 167(2) and the proviso and can remand him to such custody as mentioned therein during the first period of fifteen days and thereafter in accordance with the proviso as discussed above. The first period of fifteen days mentioned in Section 167(2) has to be computed from the date of detention as per orders of the Magistrate and after the expiry of the period of first fifteen days it should be only judicial custody. Section 167 Cr.P.C. is supplementary to Section 57. It is clear from Section 57 that the investigation should be completed in the first instance within 24 hours. If not, the arrested person should be brought by the police before a magistrate as provided under Section 167. The law does not authorise a police officer to detain an arrested person for more than 24 hours exclusive of the time necessary for the journey from the place of arrest to the Magistrate Court. Sub-section (1) of Section -167 covers all this procedure and also lays down that the police officer while forwarding the accused to the nearest magistrate should also transmit a copy of the entries in the diary relating to the case. The entries in the diary are meant to afford to the magistrate the necessary information upon which he can take the decision whether the accused should be detained in the custody further or not. It may be noted even at this stage the magistrate can release him on bail if an application is made and if he is satisfied that there are no grounds to remand him to custody but if he is satisfied that further remand is necessary then he should act as provided under Section 167. Object and Scope of Section 167(2) Cr.P.C. Applicability of Section 167(2) Cr.P.C. A case relating to abduction of four Bombay based diamond merchants and one Kulkarni was registered at Police Station Tughlak Road New Delhi on 16-9-91 and the investigation was entrusted to C.B.I. During investigation it was disclosed that not only the four diamond merchants but also Kulkarni, and one driver Babulal were kidnapped between 14th and 15th September, 1991 from two Hotels at Delhi. It emerged during investigation that the said Kulkarni was one of the associates of the accused R.Chaudhary who was responsible for the kidnapping of the diamond merchants. On the basis of some available material Kulkarni was arrested on 4-10-91 and was produced before the Chief Metropolitan Magistrate, Delhi on 5-10-91. On the request of the C.B.I. Kulkarni was remanded to judicial custody till 11-10-91. On 10-10-91 a test identification parade was arranged but Kulkarni refused to cooperate and his refusal was recorded by the concerned Munsif Magistrate. On 11-10-91 an application was moved by the investigating officer seeking police custody of Kulkarni which was allowed. When he was being taken, on the way Kulkarni pretended to be indisposed and he was taken to the Hospital the same evening where he remained confined on the ground of illness up to 21-10-91 and then he was referred to Cardic Out-patient Department of G.B. Pant Hospital. Kulkarni was again remanded to judicial custody by the Magistrate upto 29.10.1991 and thereafter was sent to Jail. In view of the fact that the Police could not take him into police custody all these days, the investigating officer again applied to the Court of Chief Metropolitan Magistrate for police custody of Kulkarni. The Chief Metropolitan Magistrate, relying on ajudgment of the Delhi High Court in State (Delhi Admn.) v. Dharam Pal, 1982 Cri LJ 1103 refused police remand. Questioning the same a revision was filed by the CBI before the High Court of Delhi. The accused filed bail application. The Hon’ble High Court granted bail to the accused on merits. The Hon’ble High Court however, did not decide the question whether or not after the expiry of the initial period of 15 days a person can still be remanded to police custody by the magistrate before whom he was produced. The said order was challenged by the CBI before the Hon’ble Supreme Court. The State Counsel contended that Chief Metropolitan Magistrate erred in not granting police custody and that Dharam Pal’s case (1982 Cri LJ 1103) on which he placed reliance has been wrongly decided. He further contended that the High Court has erred in granting bail to Shri Kulkarni without deciding the question whether he can be remanded to police custody as prayed for by the CBI. The Defence Counsel submitted that the language of S. 167, Cr.P.C. is clear that the police custody if at all be granted by the Magistrate should be only during the period of first 15 days from the date of production of the accused before the magistrate and not later. And that subsequent custody, if any, should only be judicial custody and the question of granting police custody after the expiry of first 15 days remand does not arise. Whether a person arrested and produced before the nearest Magistrate, as required under S. 167(1) Code of Criminal Procedure, can still be remanded to police custody after the expiry of the initial period of 15 days? Whether it can be construed that the police custody, if any, should be within this period of first fifteen days and not later or alternatively in a case if such remand had not been obtained or the number of days of police custody in the first fifteen days are less? Whether the police can ask subsequently for police custody for full period of fifteen days not availed earlier or for the remaining days during the rest of the periods of ninety days or sixty days covered by the proviso? Whether a person arrested in respect of an offence alleged to have been committed by him during an occurrence can be detained again in police custody in respect of another offence committed by him in the same case and which fact comes to light after the expiry of the period of first fifteen days of his arrest? Section 167(2A) Cr.P.C. makes provision for the production of the accused before the Executive Magistrate. Executive Magistrate has power order to detention only for 7 days in ‘such custody’ as he thinks fit. (a) The Judicial Magistrate may grant police custody or judicial custody from time to time. But the total period of detention cannot exceed 15 days in whole. (b) There can be more than one order of police custody. Para “6. The Division Bench in Dharam Pal’s case referring to these observations of Hardy, J. observed that “We completely agree with Hardy, J. in coming to the conclusion that the Magistrate has to find out whether there is a good case for grant of police custody”. A perusal of the later part of the judgment in Dharam Pal’s case would show that the Division Bench referred to these observations in support of the view that the nature of the custody can be altered from judicial custody to police custody or vice-versa during the first period of fifteen days mentioned in S. 167(2) of the Code, but however firmly concluded that after fifteen days the accused could only be in judicial custody or any other custody as ordered by the magistrate but not in police custody. Then there is one more decision of the Delhi High Court in State (Delhi Administration v. Ravinder Kumar Bhatnagar, 1982 Cri LJ 2366, where a single Judge after relying on the judgment of the Division Bench in Dharam Pal’s case, (1982 Cri LJ 1103), held that the language of Section 167(2) is plain and that words “for a term not exceeding fifteen days in the whole” would clearly indicate that those fifteen days begin to run immediately after the accused is produced before the magistrate in accordance with sub-section (1) and the police custody cannot be granted after the lapse of the “first fifteen days”. (a) If complicity relates to the offences committed during the same transaction, the maximum period of police custody will be 15 days. (b) If complicity relates to the offences committed during different transactions, the maximum period of police custody will be 15 days. Para “11. …. However, we must clarify that this limitation shall not apply to a different occurrence in which complicity of the arrested accused is disclosed. While applying the above principles of law, the Hon’ble Supreme Court dismissed the appeals. (a) The first period of detention should be computed from the date of order of remand by the Magistrate. (b) Notional surrender of accused in another case when he is in custody in one case. Starting point for computation of period will start from the date of actual police custody and not from the date of surrender. (c) The transit period will be excluded. On 9th September, 2002, the Secretary of the Calcutta Stock Exchange Association Limited lodged a written complaint with the Hare Street Police Station alleging the commission of offences under Sections 120B/4 20/409/467/468/471/ 477A Indian Penal Code against Harish Chandra Biyani and others. The complaint was treated as First Information Report and case No. 476 dated 24.9.2002 was registered under the aforesaid sections of the I.P.C. Thereafter, the investigation of the case was taken up by the Detective Department. During the course of the investigation, Investigating Officer prayed for issuance of warrant of arrest against the respondent on 12th February, 2006. Prior to that, the respondent was arrested in New Delhi by the Central Bureau of Investigation, Bank Securities and Fraud Cell, New Delhi in connection with CBI Case No.RC 4(E)/200 3-BS and F C CBI. He was produced before the Additional Chief Judicial Magistrate, Tis Hazari. On transit remand, the respondent was produced before the Additional Chief Judicial Magistrate, Egmore, Chennai on 14th February, 2006. In the mean time, the Investigation Officer of this case also prayed for issuance of production warrant against the respondent before the Court of learned Chief Metropolitan Magistrate Calcutta, as the respondent was arrested and detained in the aforesaid CBI case pending before the Chief Metropolitan Magistrate, Egmore, Chennai. The Chief Metropolitan Magistrate, Calcutta, by order dated 13th February, 2006 allowed such prayer of the Investigating Officer and directed that the accused-respondent be produced before the the Learned Chief Metropolitan Magistrate, Calcutta on or before 22nd February, 2006. A copy of the said order was sent to the Court of Additional Chief Metropolitan Magistrate, Egmore, Chennai. On 14th February, 2006, the order dated 13th February, 2006 passed by the Chief Metropolitan Magistrate, Calcutta was brought to the notice of the Additional Chief Metropolitan Magistrate, Egmore, Chennai by the CBI in their further remand application. The Addl. Chief Metropolitan Magistrate, Egmore, Chennai observed that the matter of Calcutta Police would be considered after the period of CBI custody was over. On 17th February, 2006 the Investigating Officer of this case filed an application before the Court of Chief Metropolitan Magistrate, Calcutta intimating that the accusedrespondent was in the custody of CBI till 24th February, 2006 in connection with the aforesaid CBI cases and sought direction for production of the accused-respondent in Calcutta on or by 8th March, 2006. The Court at Calcutta, by order dated 17th February, 2006, observed that looking to the gravity of the offences complained against the accused-respondent in the cases pending in Calcutta, he should not be released in the CBI cases at Chennai. On 23rd February, 2006, the Investigating Officer of this case filed an application before the Magistrate at Egmore, Chennai regarding production of the accusedrespondent being in the present case before the Court of Chief Metropolitan Magistrate at Calcutta. By that time, the accused-respondent came to know that he was wanted in two more cases pending against him in Calcutta. When the accused-respondent was in custody on 27th February, 2006 in connection with the CBI case pending before the Addl. Chief Metropolitan Magistrate, Egmore, Chennai, he voluntarily surrendered before the Magistrate, Chennai as he was wanted in connection with the two cases of Calcutta Police. i.e. Case No. 300/2002 and 476/2002. The accused/respondent surrendered on 27th February, 2006 and that was accepted by the Addl. Chief Metropolitan Magistrate, Egmore, Chennai on the same date. But the Learned Additional Chief Metropolitan Magistrate Egmore, Chennai remanded the accused /respondent to the judicial custody till 13th March, 2006. The learned Additional Chief Metropolitan Magistrate, Chennai further directed production of the accused before the Court at Calcutta. Intimation in this regard was also forwarded to the Chief Metropolitan Magistrate, Calcutta along with surrender papers of both the cases. An intimation dated 28th February, 2006 was also forwarded to the Hare Street Police Station and Park Street Police Station where those two cases were pending. The Investigation Officer requested the learned Addl. Chief Metropolitan Magistrate, Egmore, Chennai for counter signature on the production warrant issued by the learned Chief Metropolitan Magistrate, Calcutta. The Addl. Chief Metropolitan Magistrate, Chennai counter signed the production warrant and served upon the Jail Superintendent, Egmore, Chennai. On 3rd March, 2006 in response to the prayer made by the CBI, the learned Magistrate at Chennai directed for conducting of Polygraph, Brain Mapping and Narco Analysis tests on the accused-respondent. The learned Magistrate directed the Superintendent, Central Jail, Chennai to hand over the accused for the aforesaid test to Inspector, CBI and produce him before the Court on 9.3.2006. Thereafter on 11.3.2006 on the request of Calcutta Police accused was handed over to Calcutta Police to be escorted to Calcutta for production before the Magistrate at Calcutta. Therefore, on the request made by the CBI, the accused/respondent was handed over to the CBI team for the above tests. On 13th March, 2006, pursuant to the order of the learned Magistrate at Calcutta, the accused respondent was produced in the Court of Chief Metropolitan Magistrate, Calcutta. The Investigating Officer of this case requested the Court of Chief Metropolitan Magistrate, Calcutta to hand over the accused for 15 days for police remand for investigation. An application was moved by the defence Counsel praying for bail on behalf of the accused-respondent before the Court of Addl. Chief Metropolitan Magistrate, Calcutta. It was contended that the accused-respondent had surrendered on 27th February, 2006 before the Magistrate at Chennai and the period of 15 days was over and Police had not filed the challan, therefore accused be enlarged on bail. As against this, it was submitted that accused was arrested by CBI and produced before the Calcutta Court in this case on 13th March, 2006, so the period of 15 days was not over. The case was fixed for 16th March, 2006 for further hearing and on that date the bail application was rejected and the accused was remanded to police custody up to 24.3.2006 and the Court directed to produce the accused on the fixed date. The Chief Metropolitan Magistrate Calcutta, after considering the submission took the view that the custody of the petitioner cannot be considered unless and until he is physically produced before the Court and since in the present case it was done on March 13, 2006 on the strength of the production warrant issued by the learned Chief Metropolitan Magistrate Calcutta, the period of police custody was to be considered from the date of his physical production. The accused-respondent was remanded to the police custody till 28th March, 2006. Aggrieved against this order, the accused approached the Calcutta High Court. The Hon’ble Calcutta High Court took the view that the detention of the accused should be counted w.e.f. 27th February, 2006, when the accused surrendered him in this case. Feeling aggrieved, the State filed an appeal in the Hon’ble Supreme Court. The State Counsel submitted that, under sub-section (2) of Section 167 of Criminal Procedure Code, the period should only be counted when the accused is arrested/ taken in custody by the police and not from the date when he surrendered before the Magistrate. It was further submitted that in this case the accused was taken in custody by the police on 13th March, 2006 and was produced before the Magistrate on the same day. Therefore, the period commences from 13th March, 2006 and not from 27th February, 2006. Whether the detention period should be counted from the day the police took the accused in custody or the period should be counted from the day when the accused surrendered? The Hon’ble Supreme Court held that starting point for computation of period will start from the actual police custody and not from the date of surrender. It was further held that transit period will also be excluded.